Packing is considered to be the most essential step of relocation. A person is supposed to take everything well to the new place so that, he may enjoy its services at the next destination as well. Whether the things will reach to the new place safe and secure or not, totally depends on how it is being packed at the source. People make every possible effort to pack things adequately. They do not rely on ordinary materials but get special packing supplies for the safe landing of their things at the new place. Adequate packing materials make shifting safe and smooth but these packing constituents become a big burden when the task is over. Yes, during the move they fully support the goods from damage and scratched but as the things finally reach its destination then the packing materials go useless. 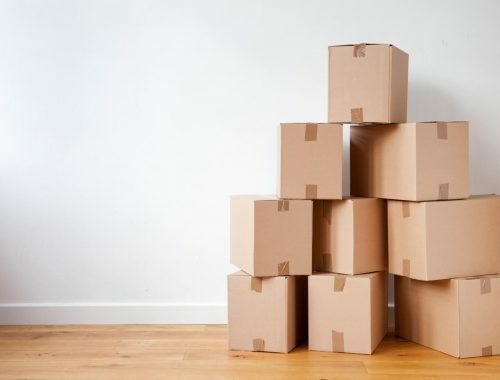 The after move time is crucial because you are really concerned for the things that have unwillingly became the part of your home and definitely packing material is amongst it. These materials have no doubt cushioned the things and prevented it from damage but ultimately it is a trash. To get rid of the items is much necessary. There are many better ways through which you can do it. The first thing that you can do is sell the boxes. Yes, if the boxes are sturdy and are expensive too then there cannot be anything better than this to get at least a little return out of the big investment. Relocators like you who want to save money on move would definitely pick it up because your trash is treasure for them. Another noble way to get rid of the boxes is by donating it to charity. However this may seem awkward to some of you but your donation can be helpful for someone in need definitely. The third and last option in front of you is to recycle the box. You can make use of boxes at home. Utilizing the base of box as cardboard box or for other relevant activity is also a great step. Getting rid of packing boxes is something that most of the people wish to have. As the investment in these boxes is not much hence people do not think more on this topic. Being a smart mover if you don’t want to waster a single investment of yours, then it is better that you should implement the ideas that are mentioned above. RK Singh is a passionate writer and blogger. He loves writing on different challenging topics including business, relocation, transportation, health, social issues, fashion and lifestyle. Currently he is rendering his services to a relocation portal – Shiftingsolutions.in which is a trusted online destinations to hire services and find information of professional Packers and Movers in Gurgaon, Delhi, Pune, Bangalore, Mumbai, Hyderabad, Ahmedabad, Chennai, Chandigarh, and several other cities and towns of India. Downsizing, this is a phenomenon that most of the relocators face while they are shifting to the new place. When the new home does not allows much space to set all the things of the old place there then the relocator is required to downsize the home. Downsizing is not easy, even when a person is supposed to purge few of his things he is surrounded by worries. Downsizing the entire home needs a clear thought about the importance of each and everything which is occupied at the home. If you are totally confused and not actually getting how to start this entire complex process then here are few tips that would make the things simpler for you. Unload the Clutter: This is the final and decisive moment for you. Here, you have to make out as what all are the things that are going to be your companion at the next destination and the old partners that will leave you here only. There is actually no sense carrying useless things. Unload the clutter and get rid of it the way you want to. Donate it, sell it, or gift it, it all depends on you. Create a Floor Plan: Have a clear idea as how you are going to organize the things at the next destination. Your decision is going to be difficult and at the meantime useful as well. By making a plan of arrangement of things, you could know as what all things you need for the new place and what will not fit there. Create a floor plan and simplify the process of purging the extras. Consolidate: Downsizing is all about condensing and consolidating. You have to come up with one solution for many things (if there is a chance). This can be understood with an example, if you have two to three book shelves and you are now moving with less books after declutter then it is better for you to carry only one shelf and leave the two behind. Find Storage: Sometimes the downsizing is for time being. When you know you will return to the place and the things can be the companion again then using storage unit for keeping the things for that required time is something that would help you in a better way. You can find storage and keep your things there. But, one thing you have to tally that you do not keep items at the storage unit for a longer time. These are few of the brilliant ideas for downsizing home efficiently. The tips that are mentioned above would sort out your worries and you can easily manage the requirements well. Planning a move with the assistance of an experienced moving company is a good idea. You can see several professional Packers and Movers in Mumbai, Bangalore, Gurgaon, Delhi, Bangalore, Pune, and other cities and towns of India to choose from. You should do a proper research before finalizing the services of right one. A good mover will provide you comprehensive shifting solutions and peace of mind. A man’s life is always surrounded with complications. When a man is supposed to move, he has to be physically, mentally and financially active and alert for the things. A person can manage physical and mental presence but financial management is something that cannot be ignored at any cost. A good planning always leads to good results in moving, there are things that a relocator is supposed to managed and amongst that all, financial management is much more significant. Before making a move you need to make a tough financial planning as well. Here we are suggesting few of the better ways that can help you in the mission. We are letting you know through this article that how much money you need to save before moving. Housing Expenses: Investment on real estate is going to cost you more. Whether you are planning to buy a new home at the place, or wish to stay there on rent. It is necessary to calculate the price and according manage the budget. If you are moving there in search of a job then you should keep the spare the amount for two three months’ rent. Moving Expenses: What would be your mode for the move? Whether you would hire packers and movers for the task or are comfortable dealing with the requirements by own. Calculate the moving expenses accordingly and move according to that only. Living Expenses: Cost of living at the new place should also be included in your entire moving budget. How much you need to spend to meet up with your daily expenses and requirements. Make a detailed list of the things, and don’t forget to keep some extra amount too for the miscellaneous expenses. Personal Expenses: At the new destination you would also need some money for your personal expenses this may include saloon charges, dining out charges, petrol charges, etc. So, make your budget including this as well. Utilities: To have a comfortable life at the new place there are few services for which you cannot compromise and these things are utilities. Whether the charge for electricity, water, cable, internet, or any other new connection you need to share token money. This is one of the things that people do forget to include but definitely, it should not be because it shares a big amount of moving budget. Above mentioned is the complete guide as how much money you are supposed to save for the move and why. It is always required that you should have a good plan for the move because it may help you to reach at good results. There can be several professional Packers and Movers in Delhi, Gurgaon, Mumbai, Pune, Noida, Hyderabad, Chennai, Ahmedabad, and other cities and towns of India to choose from. It is always advisable that you should compare different free moving quotes from different best matching moving companies to have comprehensive shifting solutions at affordable price. Comparing multiple quotes will save you money in selection of the right moving company for your next move.